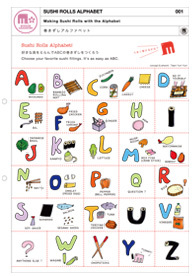 Making sushi rolls with the alphabet! choose your favorite sushi fillings. 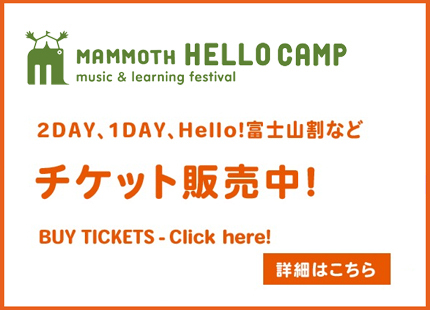 It’s as easy as ABC. 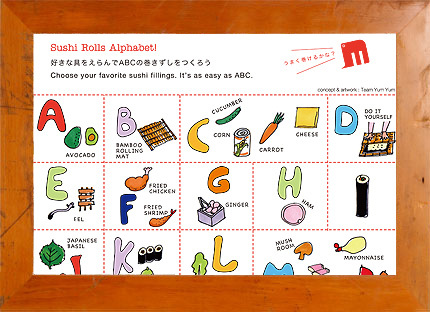 Use the alphabet to invent a new original sushi roll!